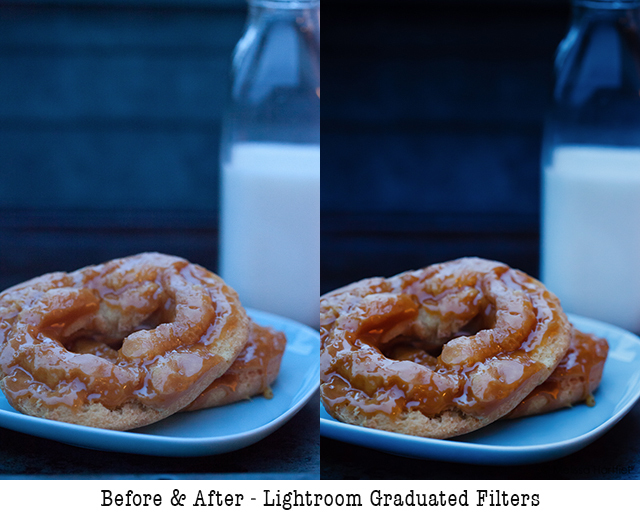 Alright… it’s been a while since we’ve had a Before & After Monday so let’s talk about something so super simple that you can do in Adobe Lightroom that can make a dramatic difference to your photos: the Graduated Filter tool. And when I say super simple, I mean super simple. 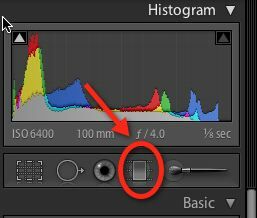 This little gem of a tool is easy to miss, especially if you’re new to photography and don’t know what a graduated filter is. What IS a Graduated Filter? Graduated filters, or, graduated neutral density filters (OR graduated ND filters) are, essentially, (and this is so totally not a scientific description of an ND filter) a filter that a photographer can put in front of their lens that starts darker at the top and is clear at the bottom. Sometimes, they gradually go from dark to clear and sometimes it’s very abrupt – half dark and half clear. They’re great for landscape photography where it’s very hard to expose for both the sky and the foreground. How many photos have you taken where the sky has been blown out and doesn’t even look blue but the forground is fine? 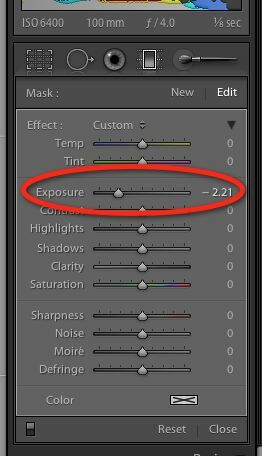 Well that’s where the handy Graduated Filter tool in Lightroom comes into play! A digital filter! I shot this outside on my patio at about 5pm with a tripod. The background is a planter. It was miserably cold and dark – so dark I had to manually focus the lens and sort of “guess” if I got it right (even I couldn’t really see if it was in focus – never mind the camera figuring it out!). I wanted to shoot in dark light for a moody feel but it gets tricky to expose properly for your subject and your background. Here’s the problem – too much digital noise (my fault for stupidly leaving my ISO so high after I brought out the tripod) and… well… just not enough pop in the image. So the first thing we do is bring the image into the Develop module in Lightroom and change the camera profile to Standard (how you set this always depends on the image itself). Then I bumped up the clarity to +11. There’s not a huge difference at this point so no photo for those steps. 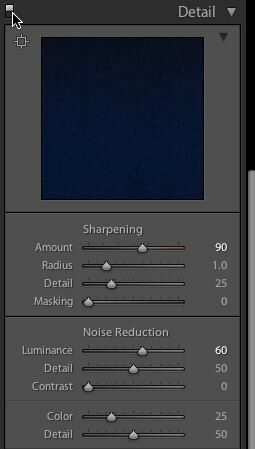 For a refresher on how to change the Camera Profile/Calibration and the Clarity in Lightroom check out my Raspberry Before & After Post. 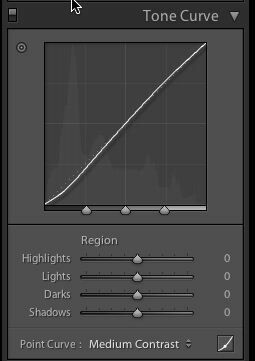 The next thing I did was go to the Tone Curve section and change the Point Curve to Medium Contrast. Now we’re seeing some difference! Now, hold down your shift key and drag the plus sign down till it’s just at the top of the doughnuts. Holding down the shift key allows you to drag in a totally straight line. For funkier effects you can skip the shift key and drag randomly. Now you’ll see these funky lines (hello instagram, anyone?? I told you it was super easy!). Don’t worry about them. You’ll also notice that the background really doesn’t look any different. Don’t worry about that either! When you activated the Graduated Filter tool, you got a new menu of sliders below it. We’re going to change the exposure. A lot. See how we took it down to -2.21. That’s a big change – but it’s only going to affect the area that you used the tool on. Not bad, eh? And it took 2 minutes (not even). So, Graduated Filter tool equals big bang for you post processing buck. And don’t be afraid to embrace this lousy winter light. It can offer some remarkable possibilities. Work with it instead of letting it work against you! Great tutorial! Question, two actually. Why would you spend the money on a filter when it appears that you already have the tool with this photo editing software? Second question I have is…have you posted the recipe for these donuts? They look amazing! That’s a good question. I think that part of what makes photography such an obsessive hobby or profession is that quest for that perfect image made in the camera. It becomes a debate on what the artform is… is it photography? Or is it digital art? That’s a debate that could go on forever. But, there really is no better feeling than when you pull a photo off your camera and look at it on screen and know that’s exactly how you saw it in your mind when you took the photo. It’s incredibly satisfying! 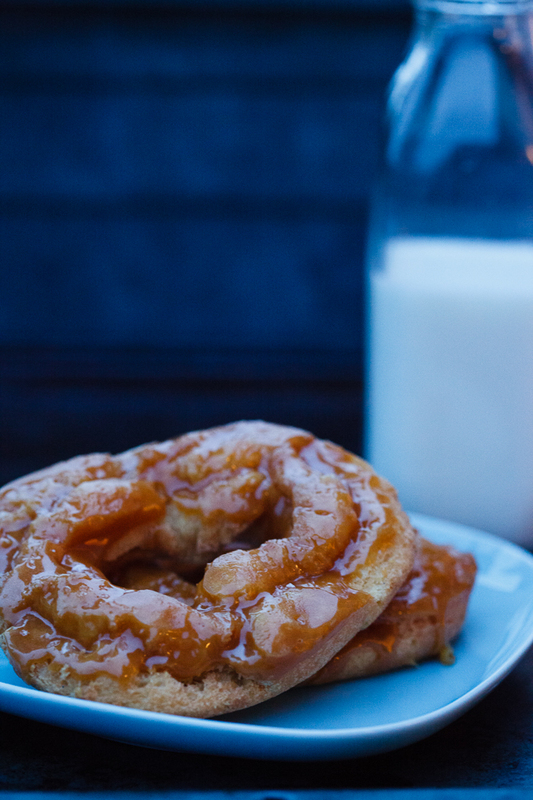 The donuts were bought from Lucky’s in Vancouver… so no recipe I’m afraid! 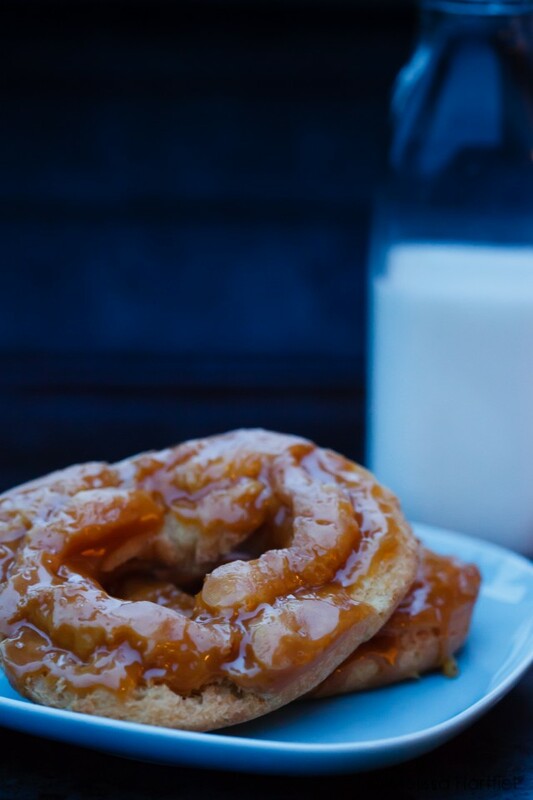 I actually wasn’t crazy about the donut itself but the salted caramel drizzle on top was divine! 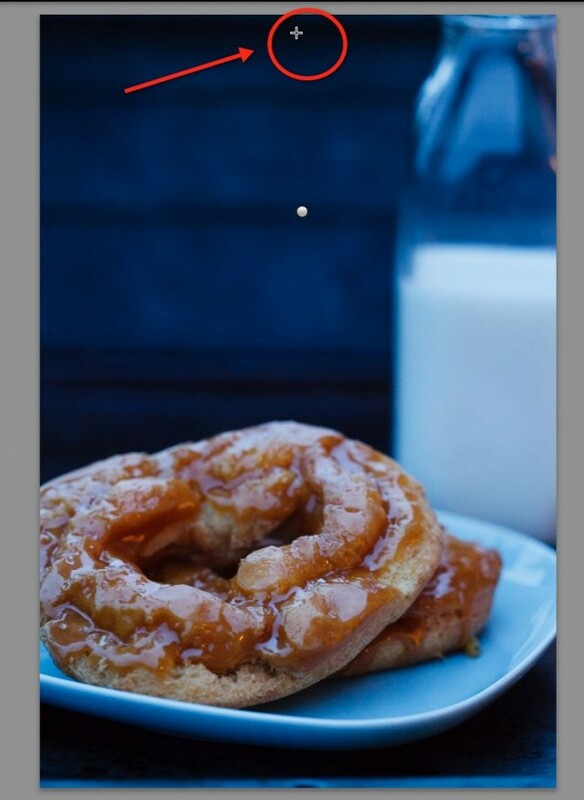 Good heavens, I have never thought to use the graduated filter in any food photo. Landscape, of course but why pigeon hole myself! Thanks for the tip. I don’t own a ND filter either, I know it’s much better to get it right in camera but I’m not too much of a landscape photographer so I think it’s ok. Honesty? this is the first time I’ve used the tool on food. I’d never thought of it before either but really… if you want to do dark and moody it just makes sense! This is what happens when you decide to photograph things on the porch in the dark! lol. 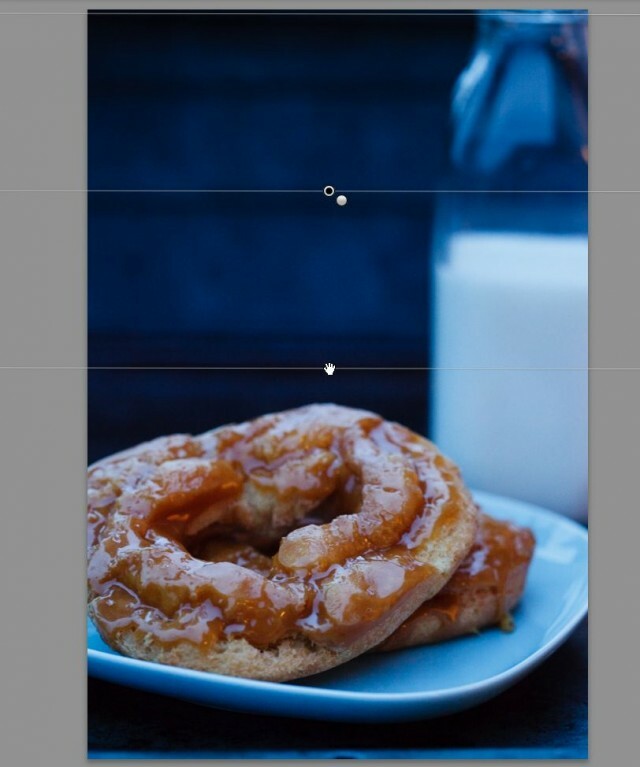 I am slowly self-teaching myself how to use Lightroom, and this post is making me want to go try the graduated filter tool right now! There is so much in the Lightroom program I don’t know about yet. Thanks for sharing your tips!